Learn how to access your Certification history. After completing a course, you can download and print badges and certificates to show off your expertise. These are great for use on marketing materials or on your website. 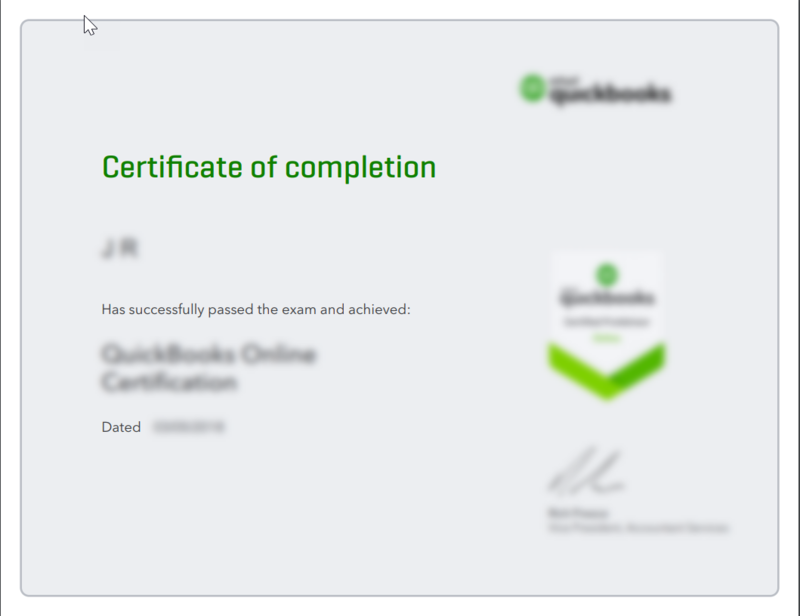 Log into QuickBooks Online Accountant US or QuickBooks Online Accountant Canada. From the left menu select ProAdvisor. You'll see all the certifications available to you. If you're looking for a current certification, badge or exam, select Certified, and choose Download Badge or Download Certificate. 5. If you're looking for a previous certification, select Training & certification history. This feature map will help you better understand the Training & Certification History screen. Certification history is bucketed by certification completion year. Course certifications appear in bold. Course modules appear below certifications. Both the certification and their corresponding modules will be bucketed based on the completed date of the certification. Course modules that qualified for CPE credits will show the amount of CPE credits earned within the Credits column. Certificates for completed certifications and completed modules will differ. 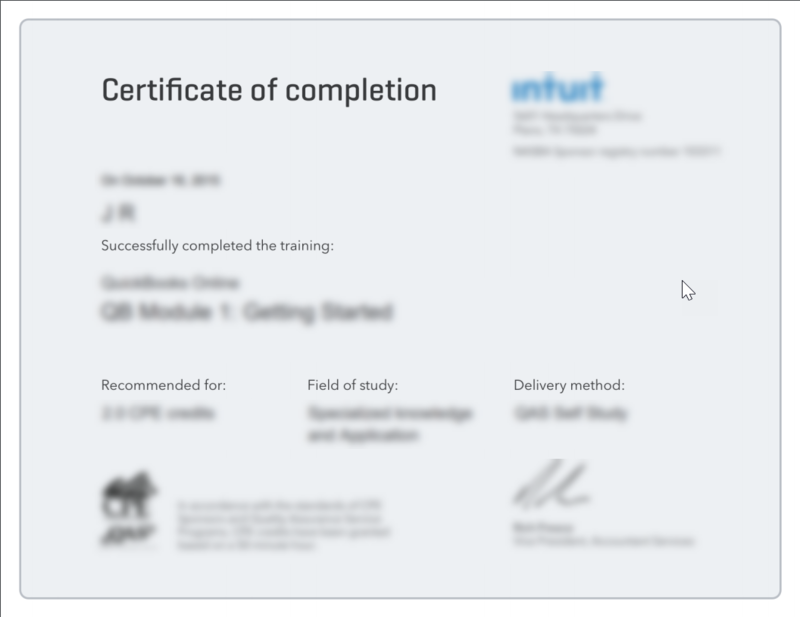 Module certificates will display the amount of recommended CPE credits, the Field of study, and Delivery method. Certificates will only appear for active ProAdvisor certifications. 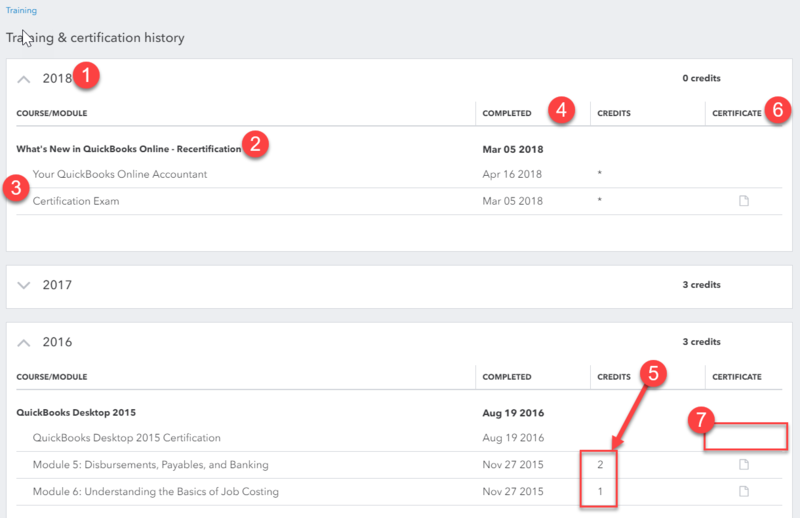 Once a certification is no longer active, the certificate icon will be removed; however, the completion date will remain, along with the ability to still print out your course module certificates.